Dr. Victor Kuchmaner and his caring team deliver personalized health care to help you regain your well-being and reach the highest levels of wellness. Families, athletes, auto accident victims and individuals of all ages are welcome. Contact us today for a complimentary consultation! On a daily basis, your body tries to fight off numerous physical, mental, chemical and emotional stresses. At Kuchmaner Chiropractic, we understand the toll that these battles take on your life. Steele Creek Chiropractor Dr. Victor Kuchmaner focuses on helping you express your full health potential. Your nervous system controls every aspect of your body. When interference is present in this all-important, master system, you can’t function as you were meant to. We’ll work with your body to remove any nerve interference to help you regain your well-being and reach the highest levels of wellness. Your visits are kept efficient, ensuring we target your specific issue for an individualized approach to health care. We listen to you, showing you the respect you deserve and making it easy for you to drop in for an appointment or book a same-day visit. No matter what your health goals may be, the caring, warm Kuchmaner Chiropractic team is here for you. We can also help you post-injury if you're an active person or athlete looking for sports chiropractic care. 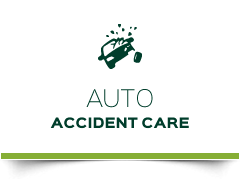 Auto accident victims, personal injury cases and chronic problems can also be helped at the practice. Chiropractic care is real health care. In an inviting, cheerful setting, you'll feel confident and comfortable in our capable and experienced hands. You are our primary concern when you're here, and we make every effort to help you achieve exceptional results. Experience the life-changing results of natural chiropractic care. Contact us today to get started with Chiropractor Steele Creek Dr. Kuchmaner! Complimentary consultations are available, and insurance coverage can be used for your visits. Practice is very beautiful and peaceful! The staff is awesome and very down to earth!! Dr. Kuchmaner, understand the patient needs and speak in a language that I can understand. As a first time visit, I would come back again. From the very start this facility was clean, easy to find and the staff was very friendly. I have been a patient for a few days and they have remained courteous, helpful, and gentle with me. I would recommend their services to everyone I know. Nisha and Dr. K are both very kind. The doc is very communicative and knowledgeable. His treatments are spot on. I’m very appreciative to the information that’s being provided to me in regards to my health. 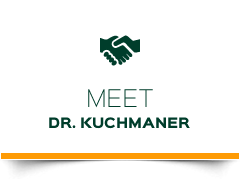 Dr. Kuchmaner is extremely knowledgeable and clearly takes pride in his work. He is the best in the business, his staff is great and the office is clean, warm and inviting. 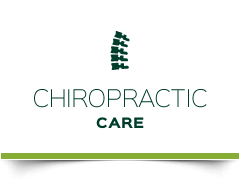 If you are looking for a chiropractor, look no further! My condition has improved tremendously will continue to receive treatment on regular basis in future. I highly recommend Dr. Kuchmaner! He has excellent communication skills. He is extremely professional, organized and reliable. Dr. K and staff are the epitome of professional. A great environment and excellent wellness care. I recommend them all the time and will continue to do so. At Kuchmaner Chiropractic Care you are greeted with a smile from his staff and from him personally. He will actually take the time to speak with you to giving suggestions that will make you better. I have sent several of my friends because of the professionalism he performs to make you feel better. Actually I appreciate him because he does care. Dr. Kuchmaner set me up on a routine that not only alleviated my pain, but improved my overall quality of life. He helps to educate you about chiropractic and its positive affect on the body. Dr. Kuchnamer and his staff are extremely professional and have an excellent practice. He has fixed my problem and also, my general health has improved as a result of his excellent care. Plus, his staff is fantastic! I strongly recommend that you go see Dr. Vic. Friendly & knowledgeable staff, no doubt they’ll get my health back in order! Will definitely be referring other here! The treatment I’ve received from Dr. Kuchmaner not only helped relieve my pain and discomfort but also kept me off of medications. Dr. Kuchmaner is a warm and genuinely caring person who sincerely cares about me and my well-being. I don’t know where I’d be without the quality care I’ve received from Dr. Kuchmaner. I had a chemical reaction which caused neck pain, and trouble sleeping due to numbness in my arms along with my constant running and pounding of the pavement which effected my hips, knees and feet. My weekly travel and the rotation from pulling my suitcase would sometimes cause misalignment of my back and hips. Consistent visits to Dr. Kuchmaner has resulted in drastic improvement in all areas.